DeMontevin Lodge Hotel is a classical place with a modern touch. 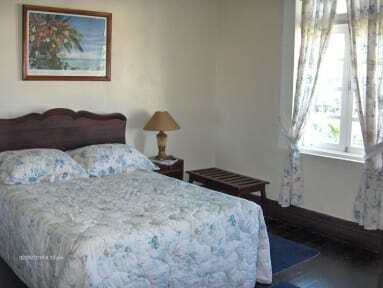 We offer beautiful sea view rooms and great service. Our staff are very professional and accommodating with great hospitality. The DeMontevin Lodge Hotel is located on the historic Titchfield Hill that provides you with an experience to cherish and return to. This 137 years old historic building in the town of Port Antonio has welcomed many guests such as a member of England's Royal Family, Members of the Bermuda Government, Jamaican National Heroes as well as Former Prime Ministers of Jamaica. As you make your way to the entrance of the building, an elegant Victorian architectural style mixed with gingerbread details greets you. Its original crafted clay brick exterior walls; rich, sturdy wooden panels and ceilings, wooden floors stained in lustrous ebony sheen contributes to the attractiveness. The front porch offers scenic view of the East Harbour, the grounds of Folly Estate and the ruins of the Fairy tale Mansion. We are located in one of the best areas of the city, near to some of the best tourist attractions and landmarks of the place such as Titchfield Cannons, Folly Ruins, Navy Island and Folly Lighthouse, amongst other interesting spots and places that you can discover and explore across our city. We have several types of rooms, all of them private with several capacities and fully equipped to bring the very best possible stay to our guests and travelers within our facilities. In addition, The front porch offers scenic view of the East Harbour, the grounds of Folly Estate and the ruins of the Fairy tale Mansion. On a sunny day you are also treated to a distanced crest of the blue mountain with fluffy clouds seemingly touching. DeMontevin has maintained the old world charm of the innkeeper opening the doors with a warm smile to welcome travelers, no matter the hour of night. We strive for utmost comfort, privacy, safety, and total satisfaction for our lodgers, so they will strongly desire a return visit, and recommend us to others. 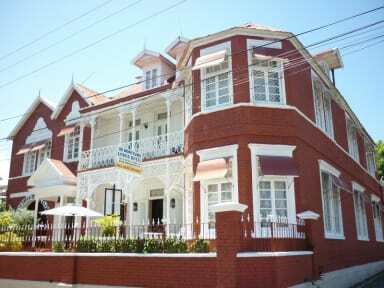 Come and stay in this historic and beautiful hotel that offers priceless service and ambiance!